Disney Institute, which specializes in helping professionals see new possibilities through concepts not found in the typical workplace, is revealing even more of the business behind the magic of quality service. 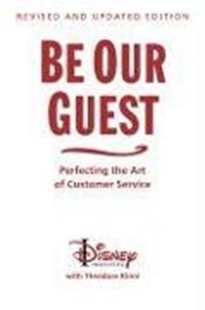 "Be Our Guest" highlights the key processes and best practices that have made Disney a trusted and revered brand around the world for more than 85 years. 224 pp. Verlag Disney Book Publishing Inc.